In brief. 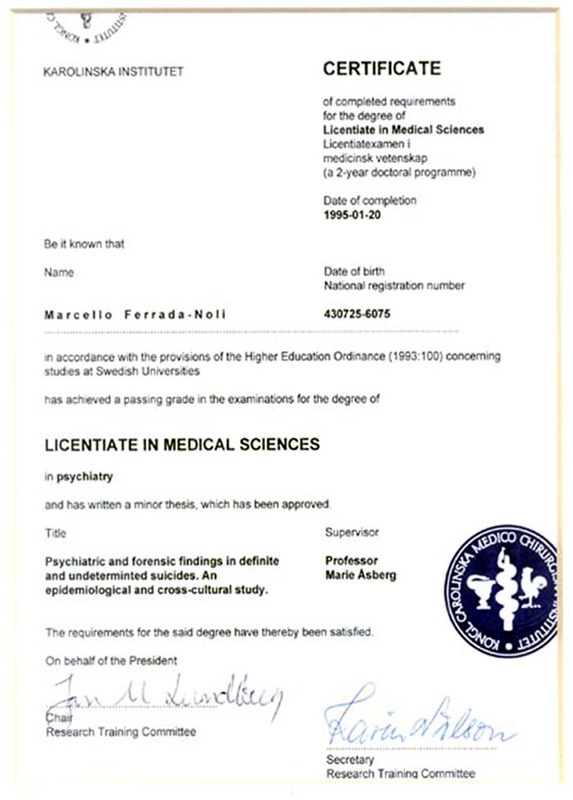 PhD in Psychiatry (Faculty of Medicine, Karolinska Institutet), Professor of Public Health Sciences esp. Epidemiology, Director of Research Education, Gävle University College, Sweden (- Dec 2006). Research Director, WHO Collaborating Centre on Community Safety Promotion (by the Division of Social Medicine, Dept of Public Health Sciences, Karolinska Institutet). Research leader of the research group on International & Cross-cultural Epidemiology, a section at the Safety Promotion / Injury Prevention Research Programme, Karolinska Institutet, Dept Public Health Sciences, Div of Social Medicine. Other appointments. Formerly: Lecturer in Social Medicine at Harvard Medical School, Boston USA. Professor of Health Psychology, University of Tromsö, Norway. Professor of Psychosocial Methods, School of Social Work, University of Concepción, Chile. Invited Professor, Faculty of Sociology and Social, University of Nuevo León, Monterrey – Mexico. Member (alt.) of the Swedish Ethics Review Committee for Medical Research, Uppsala Region. Currently: Alt. member of the Swedish Ethics Review Committee for other research (public health and other), Uppsala Region. 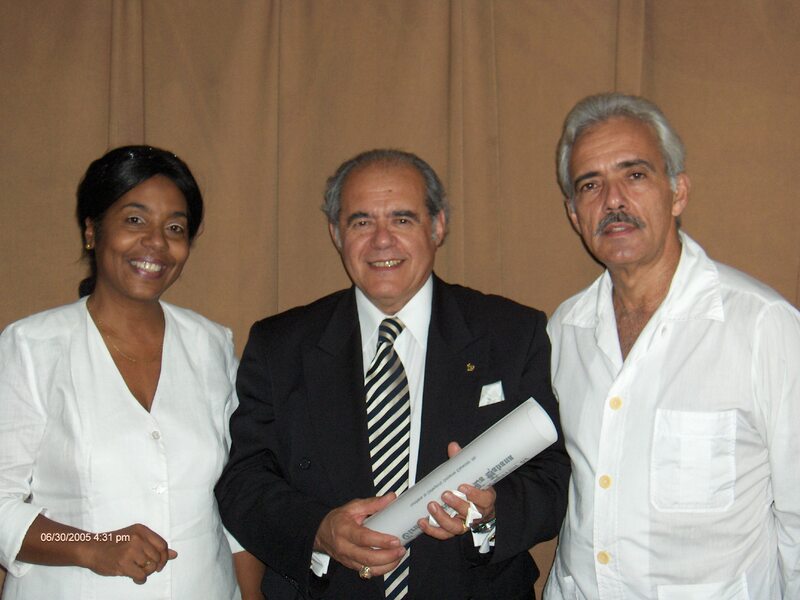 Invited Professor, Faculty member, Superior Institute of Medical Sciences, Havana, Cuba. 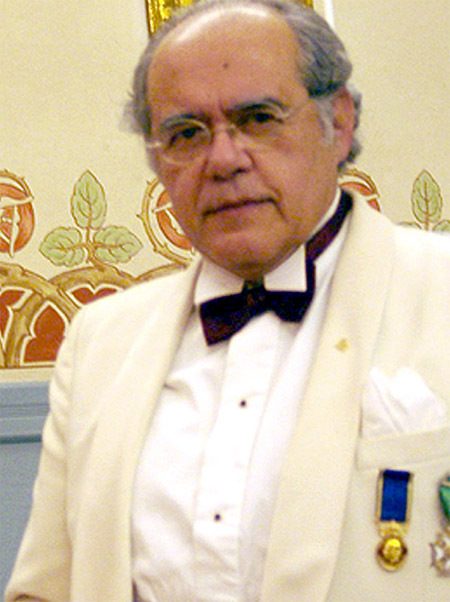 Affiliated Professor, School of Public Health, Medical Faculty University of Chile. 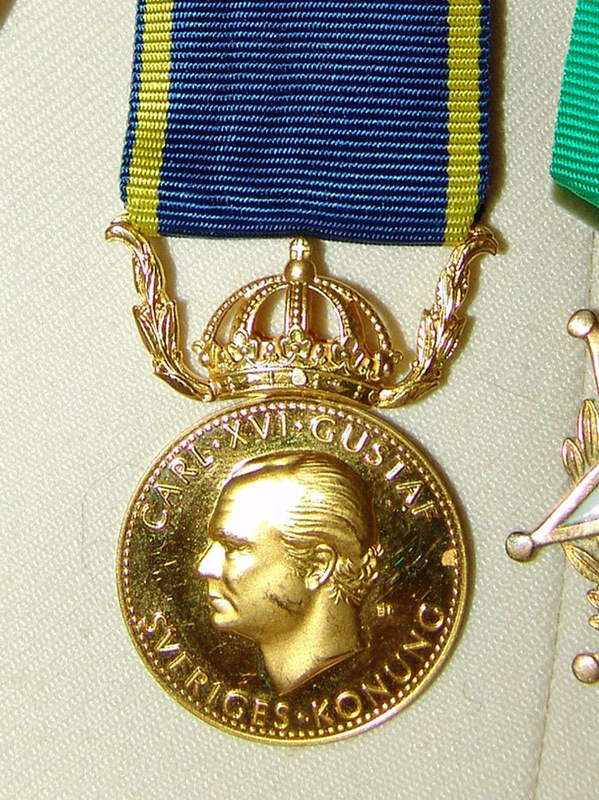 SWEDEN: Professorship of Public Health Epidemiology. Qualified for the position Professor of Public Health Epidemiology (Professor i folkhälsovetenskap inriktning mot epidemiologi) by the Committee appointed by the University of Gävle. Appointed by the Rector and the University board, 2000. NORWAY: Professorship in Health Promotion. 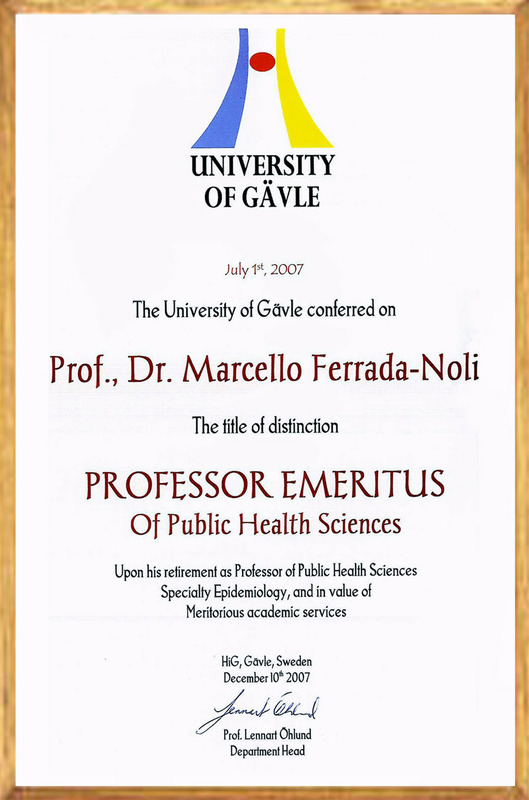 Qualified for the position Professor in Health Promotion (“forebyggende helsearbeid”) by the Scientific Committee appointed by the University of Bergen. The Committee: Head, Prof. Lillemor Hallberg (professor i folkhälsovetenskap, Sweden), Prof. Geisela Geisler, Prof. Maurice Mittelmark, 1999. Professorship in Cross-Cultural Psychology. 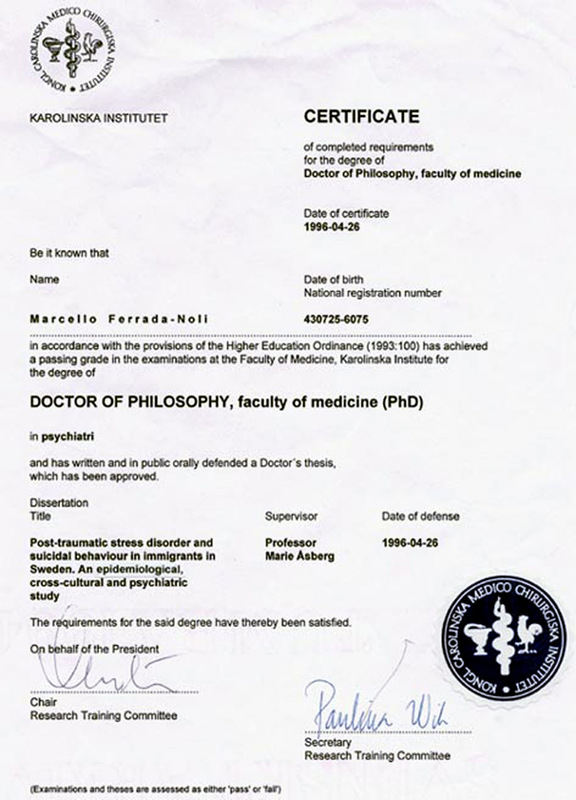 Qualified for the professorship in Cross-Cultural Psychology (“krysskulturell psykologi”) by the Scientific Committee (Sakkunnigbedömning) appointed by the University of Bergen, 1999. Professorship in Health Psychology (professorstipendiat), University of Tromsø. The Scientific Committee: Professor Karl Halvor Teigen (Tromsø U. ), Professor Anna Louise von der Lippe (Oslo U.) 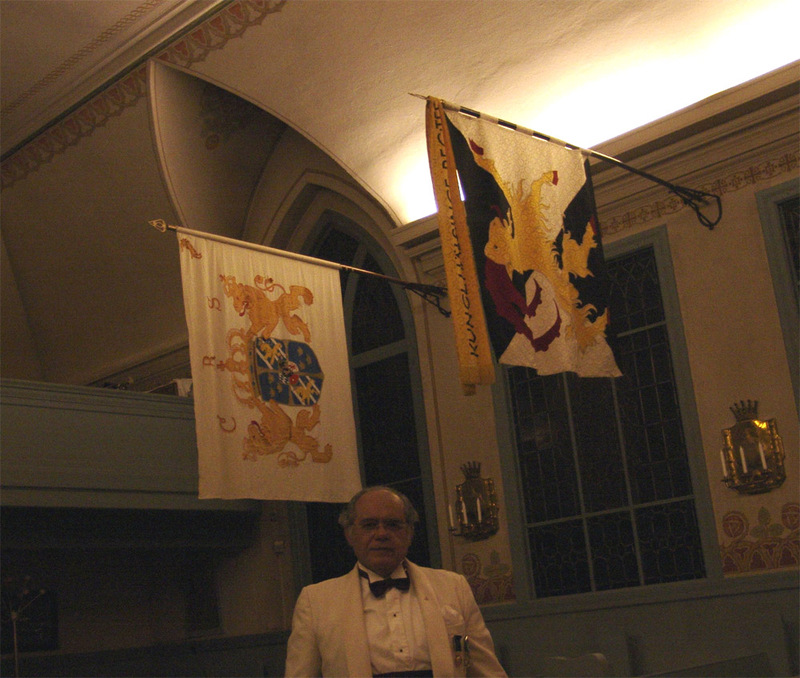 and Professor Odd E. Havik (Bergen U. ), 1997. Professorship in Psychosocial Methods , University of Nuevo Leon, Monterey, Mexico, Faculty of Sociology and Social Work. Professorship in Psychosocial Methods  , University of Concepción, Chile, School of Social Work. 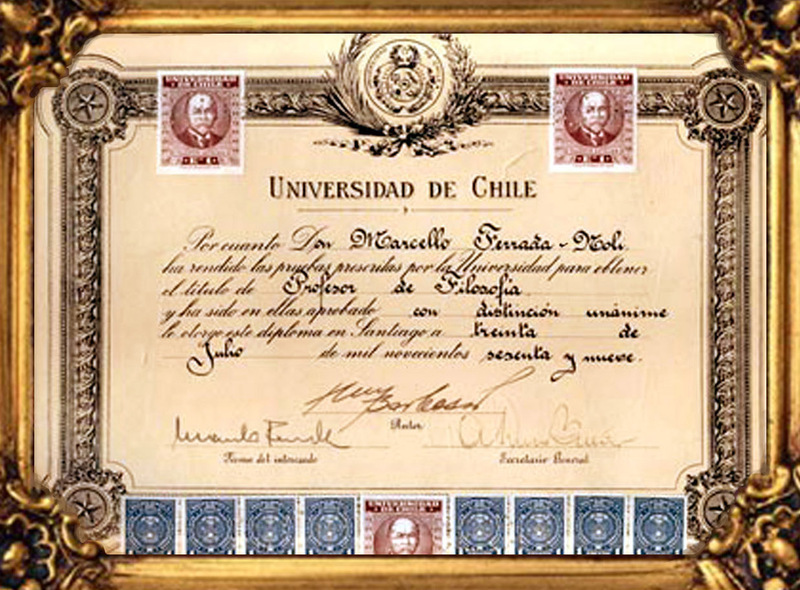 Professorship in Psychology  , Department of Sciences, University of Chile, Arica. Associate Professorship of Social Psychology, Department of Health Sciences, The Norwegian University of Science and Technology, NTNU, Trondheim, Norway. The Scientific Committee (Sakkunnigbedömning) led by NTNU Professor Leo Hendry, Dept Health Sciences / Dept Psychology. Senior Lectureship in Public Health Epidemiology. The University of Gävle, Sweden. Qualified for such a position by the appointment committee and on the base of the Scientific Committee’s assessment. The Scientific Committee led by Professor Kurt Svärdsudd, Division Clinical Epidemiology, Dept Public Health and Care, Uppsala University. Lecturer in Social Medicine, Harvard Medical School (Boston, MA). Appointment at the Department of Social Medicine (Prof. Arthur Kleinman). Research Fellow in Social Medicine at Harvard University. Appointed by Harvard University (Cambridge, MA). Harvard University and the Dean of the Faculty of Medicine. PTSD Comorbidity and the suicidal behaviour of refugees and torture victims increase in exile? Ferrada-Noli M., & Al-Tawill M.
A Cross-cultural analysis of Fatal Injuries due to Accidental Poisoning. Acepted abstract. Research Conference ‘Structures of Vulnerability’. Stockholm, jan 2005. Nasrullah S M, Khan J., & Ferrada-Noli M.
Impact of unemployment on cause specific suicide & self inflicted injury fatalities. Ferrada-Noli M., John A. I., Soares J., Jablonska, B. [Karolinska Inst.& Gävle University] (2004). abstract. World Psychiatric Association, WPA – International Congress, Florence, Italy. epidemiology of suicide. Scandinavian Journal of Psychology. 2003 Sep;44(4):373-81. Ferrada-Noli M., Ime A. John, & Svanström L.
Ferrada-Noli M., & Svanström L. [Gävle Univ. & Karolinska Inst.] (2003). economic status. Accepted abstract, presentation. A cross-cultural analysis of fatalities due to accidents. Accepted abstract, presentation. 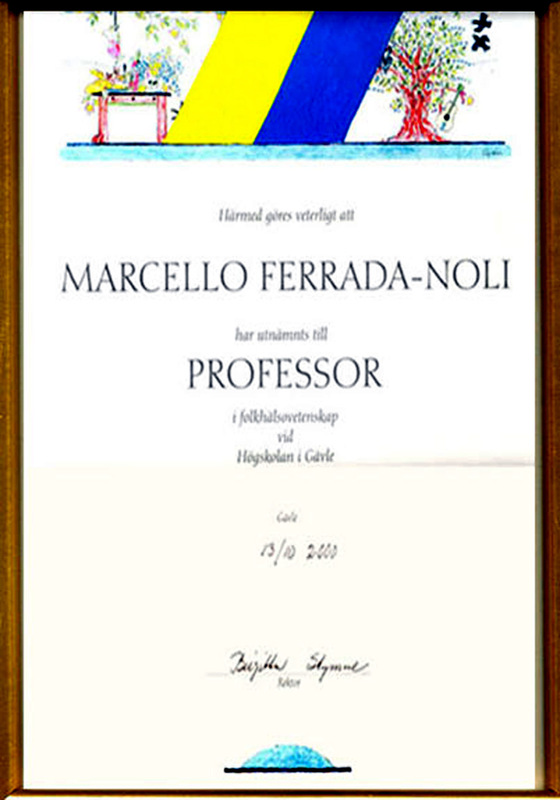 Ferrada-Noli M., & Svanström L. [Karolinska Inst, Dept Public Health] (2002). Ferrada-Noli M [Occupational stress, suicide and fatigue depression]. [Swedish]. epidemiologiska belägg.] Läkartidningen, vol 98 nr 7. 710-715. [Arbetsrelaterad stress och epidemiologin av plötsliga dödsfall.] Läkartidningen, vol 97 nr 50. 5946-7. Läkartidningen vol 97 nr 51-52, 6108-10. Ferrada-Noli, M., Asberg M., Ormstad, K., Lundin T. & Sundbom, E. [Harvard Medical School, Dept Social Medicine. Karolinska Inst, Dept Clinical Neuroscience, & Dept Oncology-Pathology, Div. of Forensic Medicine] (1998). Suicidal behaviour after severe trauma. Part 1: PTSD diagnoses, pychiatric comorbidity and assessments of suicidal behaviour. Journal of Traumatic Stress. Vol 11:1, 103-112. 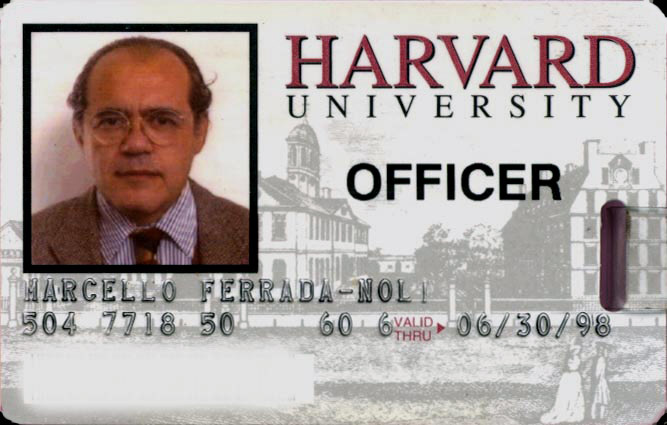 Ferrada-Noli, M. [Harvard Medical School, Dept Social Medicine. Karolinska Inst, Dept Clinical Neuroscience] (1997). A cross-cultural breakdown of Swedish Suicide. Acta Psychiatrica Scandinavica. 96:2, 108-117. Ferrada-Noli, M. [Harvard Medical School, Dept Social Medicine] (1997). Health and socioeconomic indicators in psychiatric catchment areas with divergent suicide rates. Psychological Reports. 81, 611-619. Ferrada-Noli, M. & Asberg M. [Harvard Medical School, Dept Social Medicine. Karolinska Inst, Dept Clinical Neuroscience] (1997). Psychiatric health, ethnicity, and socioeconomic factors among suicides in Stockholm. Psychological Reports. 81, 323-332. Ferrada-Noli, M. [Harvard Medical School, Dept Social Medicine] (1997). Social psychological variables in populations contrasted by income and suicide rate. Durkheim revisited. Psychological Reports. 81, 307-316. Ferrada-Noli, M. [Harvard Medical School, Dept Social Medicine] (1997). Social psychological indicators associated with the suicide rate: replying to the socioeconomic hypothesis. Psychological Reports, 80: 315-322. Ferrada-Noli, M., Asberg M., & Ormstad, K. [Harvard Medical School, Dept Social Medicine, Karolinska Inst, Dept Clinical Neuroscience, & & Dept Oncology-Pathology, Div. of Forensic Medicine] (1998). Suicidal behaviour after severe trauma. Part 2: The association between methods of torture and of suicidal ideation in PTSD. Journal of Traumatic Stress. Vol 11:1, 113-124. Ferrada-Noli, M., Sundbom, E. [Karolinska Institute, Dept Clinical Neuroscience, Psychiatry Section] (1996). Cultural bias in suicidal behaviour among refugees with Post-traumatic stress disorder. Nordic Journal of Psychiatry. 50/3: 185-191. Ferrada-Noli, M., Ormstad, K. & Asberg, M. [Karolinska Institute, Dept Clinical Neuroscience, Psychiatry Section, & Dept Oncology-Pathology, Div. of Forensic Medicine] (1996). Pathoanatomic findings and blood alcohol analysis at autopsy (BAC) in forensic diagnoses of undetermined suicide. A cross-cultural study. Forensic Science International: 78: 157-163. Ferrada-Noli M., Asberg M., Ormstad, K., & Nordstrom P. [Karolinska Institute, Dept Clinical Neuroscience, Psychiatry Section, & Dept Oncology-Pathology, Div. of Forensic Medicine] (1995). Definite and undetermined forensic diagnoses of suicide among immigrants in Sweden. Acta Psychiatrica Scandinavica 91: 130-135. 70. Ferrada-Noli, M. [Karolinska Institute, Dept Clinical Neuroscience, Psychiatry Section, & Dept Oncology-Pathology, Div. of Forensic Medicine] (1996). Social-psychological vs. socio-economic hypotheses on the epidemiology of suicide. An empirical study. Psychological Reports, 79: 707-710. Ferrada-Noli, M., Asberg, M., & Ormstad, K. [Karolinska Institute, Dept Clinical Neuroscience, Psychiatry Section& Dept Oncology-Pathology, Div. of Forensic Medicine] (1995). Psychiatric care and transculturall factors in suicide incidence. Nordic Journal of Psychiatry. 50/1: 21-25. 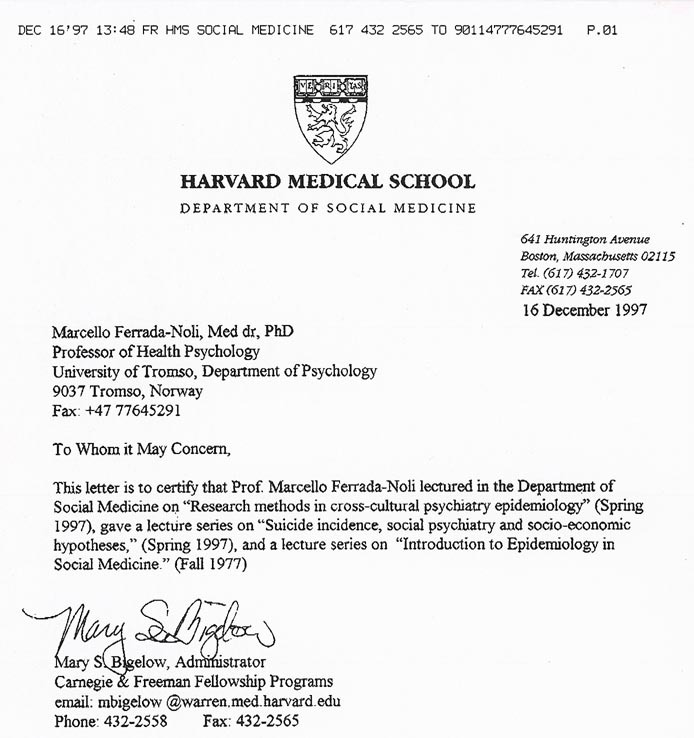 Ferrada-Noli, M. [Tromsoe University, Dept Psychology & Harvard Medical School, Dept Social Medicine] (1999). Non-specific physical symptoms after severe trauma found specific for PTSD-diagnostic category. Proposition to the DSM-V. The International Society for Traumatic Stress Studies, ISTSS. 15th annual Meeting. Miami, Florida. Nov 1999. 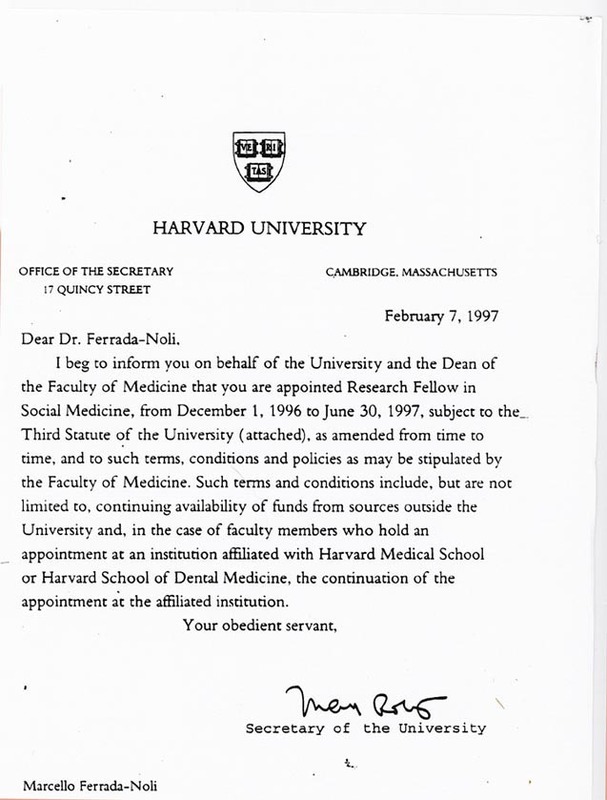 Ferrada-Noli, M. [Tromsoe University, Dept Psychology & Harvard Medical School, Dept Social Medicine] (1999). Culture sensitivity of psychiatric diagnoses: Posttraumatic pathogenesis found not targeted by cultural relativism. The International Society for Traumatic Stress Studies, ISTSS. 15th annual Meeting. Miami, Florida. Nov 1999. Ferrada-Noli, M (1996). Posttraumatic stress disorder and suicidal behaviour in immigrants to Sweden. Dissertation (PhD). Stockholm: The Karolinska Institute, Department of Clinical Neuroscience. (1-288). Ferrada-Noli, M. (1994). Psychiatric and Forensic Findings in Definite and Undetermined Suicides. An epidemiological and cross-cultural study. Dissertation (Lic.Med.Sc.). ). Stockholm: The Karolinska Institute, Department of Clinical Neuroscience. (1-98). Ferrada-Noli, M. (1969). University and superstructure. University of Concepción, Faculty of Pedagogic, Department of Educational Research (Educational problems). (1-106). Ferrada-Noli, M. (1993) [Karolinska Institute, Dept Clinical Neuroscience, Psychiatry Section] Forskning om PTSD och suicid. /Research on PTSD and suicide. In Jakobsson S.W. et al (Eds. ), Efter Tortyr. CTD yearbook. Stockholm: Liber (pp. 31). Söndergaard, H.P. 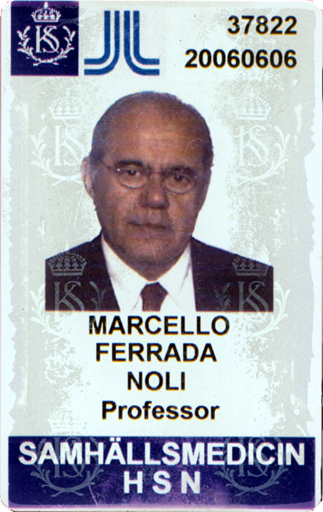 and Ferrada-Noli, M. (1993). What can be documented? In Jakobsson, S.W. et al (Eds. ), After Torture. CTD yearbook (pp. 30). Stockholm: Liber. Ferrada-Noli, M. (1972). [University of Nuevo Leon, Mexico] Theory and Method of Social Consciousness Development / Teoría y Método de la Concientización. Monterrey, México: Faculty of Sociology and Social Work. (Pp. 1-143). Prologue by L. Sandoval. Second edition 1973. 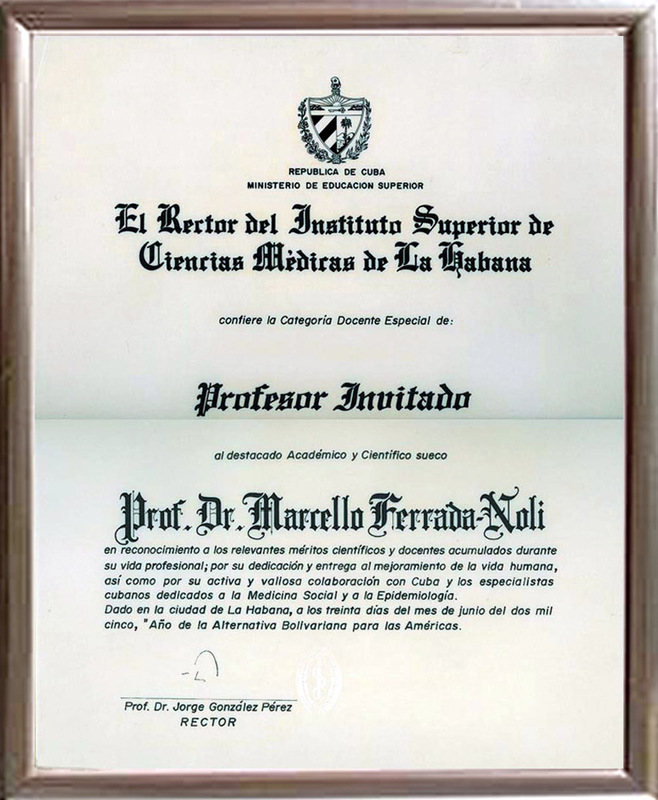 Ferrada-Noli, M. (1969) [Concepción University]. Notas críticas a la teoría motivacional en Erich Fromm./ Critique to Erich Fromm’s motivational theory]. Atenea: vol. XLV/421: 407-424. 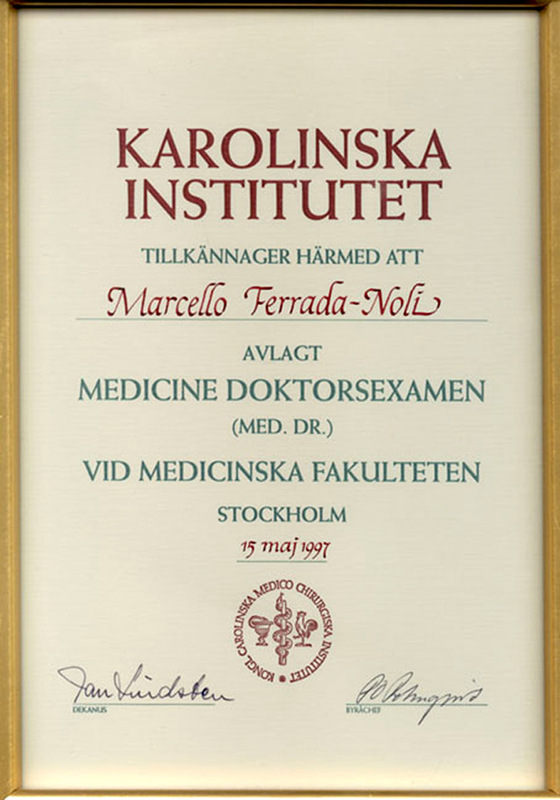 Ferrada-Noli, M. [Karolinska Institute, & Dept Oncology-Pathology, Div. of Forensic Medicine] (1990). The study of risk factors in psychological autopsies. Research paper presented at the Third European Symposium on Suicidal Behaviour and Risk Factors. Bologna, Italy, September 1990. Ferrada-Noli, M. and Asberg, M. [Karolinska Institute, Dept Clinical Neuroscience, Psychiatry Section]. A social-psychiatric hypothesis on suicidal behaviour and migration. Sixth European Symposium on Suicide and Suicidal Behaviour. June, 1996, Lund, Sweden. Abstracts P-7. Ferrada-Noli, M. (1990) Correlated factors in high-risk suicide assessments. Poster presentation. The Swedish Psychological Association Annual Meeting. Stockholm. Ferrada-Noli, M. (1995). Psychological diagnostics and PTSD research . II Symposuium of the Centre for Diagnosis and Rehabilitation of Torture and Trauma Victims (CTD) at the Karolinska Hospital. Feb., 10. Ferrada-Noli, M. [Karolinska Institute, Dept Clinical Neuroscience, Psychiatry Section] (1993) Suicide and suicidal behaviour among immigrants and refugees. Paper presented at the Seminar Series on Suicide Research (Chair: Asberg, M. and Wasserman, D.), Stockholm, Swedish Medical Association, 17 November 1993. Ferrada-Noli, M. [Karolinska Institute, Dept Clinical Neuroscience, Psychiatry Section, & Dept Oncology-Pathology, Div. of Forensic Medicine] (1992). UMSA (undetermined, suicide, accident). Matrix for data collection in forensic materials. Department of Psychiatry and Psychology, Karolinska Institute. Ferrada-Noli, M. and Jakobsson, S.W. . [Karolinska Institute, & Dept Oncology-Pathology, Div. of Forensic Medicine] (1990). The psychological autopsy in forensic diagnoses of undetermined suicide. Concepts. Dept. Forensic Medicine, Karolinska Institute. Ferrada-Noli, M. (1990). [The psychological autopsy and the problem of validity and reliability in diagnosis of suicide] Den psykologiska obduktionen in den validitets och reliabilitets problem inom suicid diagnostik. Problemet osäkra självmord. University of Gothenburg, Department of Psychiatry. of’ Torture- Injured Sequelae. The National Board of Health, Sweden. Stockholm, March 1999. Invited lecture. 1-27, 32 Tables & Figs. The XII Nordic Conference of psychotherapists of traumatised refugees. Tromsø, Norway, September 1998. Invited lecture. 1-41, 50 Tables & Figs. of Transcultural Psychiatry and Traumatic Stress (ETP). November 1998. Invited lecture. 1-14, 12 Tables & Figs. Northern Norway. Tromsø, Norway. Invited lecture. Ferrada-Noli, M. (1998). [Academic suicide] Akademiska frihetens självmord. Ferrada-Noli, M (1996). Interface of PTSD, alexithymia and suicidal behaviour. Behaviour, Lund, Sweden, 1996. 1-22, 13 Tables & Figs. Sociedad de Psiquiatría del Uruguay, Montevideo, April 1996. Invited lecture. 1-31, 15 Tables & Figs. Centres for Victims of Torture, IRCT/ICAR Bucharest, Rumania, April 1995. Psychosomatic Medicine. Journal of the American Psychosomatic Society (USA). Dimsdale J. (1998) Editorial, Appendix ‘Reviewers for Psychosomatic Medicine’. Dimsdale J. (1999) Editorial, Appendix ‘Reviewers for Psychosomatic Medicine’. Since1997. Referred in: Contents of Volume 83, ‘Consulting Readers for 1998. Course for the Resarch Fellows at the Department of Social Medicine 1997-1998. Course, (November-December 1997): Introduction to epidemiology research in social medicine. Seminars for the Resarch Fellows at the Department of Social Medicine 1996-1997. Lectures serie, (April 1997): Suicide incidence, social psychiatry and socio-economic hypotheses. Lectures serie, May 1997: Research methods in cross-cultural psychiatry epidemiology. 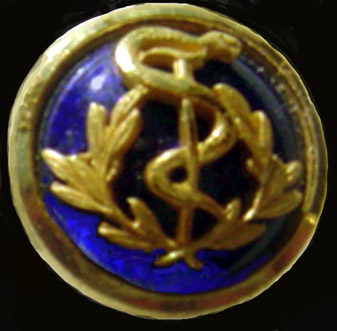 and Department of Public Health Sciences, div of Social Medicine), 2006. School of Public Health, Faculty of Medicine, University of Chile, 2006. Organiser and lecturer of the Ph.D course (forskarutbildningskurs) The Global Burden of Injury. Karolinska Institute (Board for Research Education, and Department of Public Health Sciences), 2002. Organiser and main lecturer of the course for Ph.D. students (forskarutbildningskurs) Transcultural psychiatry and posttraumatic stress disorder. Diagnostic issues and research strategies. Karolinska Institute (Board for Research Education, and Department of Clinical Neuroscience), and Karolinska Hospital Postgraduate School. 1996. Organiser and lecturer of the course Transcultural psychiatry and psychiatric emergencies. Course for graduate nurses, Mobile Assessment Team, Psychiatric Clinic, Karolinska Hospital. 1996. Participation in the postgraduate education program of the Psychiatric Association of Uruguay [Programa de Education Continua en Psiquiatría] in co-operation with the Section of Psychiatry, Department of Clinical Neuroscience, Karolinska Institute. Lectures: Transcultural psychiatry and epidemiological aspects of suicidal behaviour . Montevideo, April 1996. Transcultural psychiatry and posttraumatic stress disorder. Diagnostic issues in Refugee Psychiatry..
Uppsala University, Dept Public Health, Social Medicine Seminar, 2001. Epidemiological aspects of Burnout. Universityt of Gävle. Lecture, 2000. Scientific perspectives in stress/burnout research. NTNU, Department of Psychology, Section of Social & Community Psychology, Trondheim. 2000. Seminar / Panel on Traumatization, Stress Reactions and Coping. Non-specific physical symptoms after severe trauma found specific for PTSD-diagnostic category. Proposition to the DSM-V.
Unit of Transcultural Psychiatry and Traumatic Stress (ETP), Akademiska sjukhuset, Uppsala. Lecture, 1998. Suicidal behaviour among refugees. Conference “Twenty-five years after”. Stockholm University. Centre for Research on Migration. Lectures, 1996. Migration and psychosocial factors impacting mental health and self-destructive behaviour. Research findings in suicide research. Dagens Nyheter. Interview (editorial page) June 2006. Gefle Dagblad. Interview February 2005. Swedish National Radio (Sveriges Radio), P-1. Studio Ett: Debate with the Swedish Minister of Labour Hans Carlsson on stress related sick-listing in Sweden. Oct. 2003. Svenska Dagbladet. Interview Sept 2002. Gefle Dagblad. Interview March 2003. Gefle Dagblad. Interview Februari 2003. Swedish Television, SVT2. Reportage and interview in Mosaik Mångkulturellt magasin. 2001 (at the Karolinska Institute, Stockholm). Swedish Television, SVT2. Reportage and interview in Mosaik Mångkulturellt magasin. 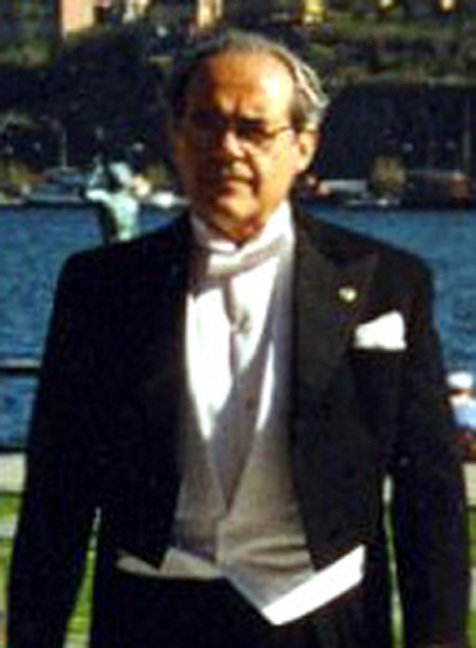 (1998, at the Karolinska Institute, Stockholm). Transmitted 16 and 18 February 1999 in SVT2, and 20 February in SVT1, respectively. Faculty of Medicine, Department of Clinical Neuroscience. Member of the Board of the Department (Institutionsstyrelsen). 1994-96. Alternate member of the board, 1997-1998. Organiser and chairman of the Research Seminars program on transcultural psychotraumatology. 1996-1997. Head of the Section of Public Health Studies (Ämneföreträdare). 2000. Head of the Unit of Public Health Sciences. 2000. THE NORWEGIAN UNIVERSITY OF SCIENCE AND TECHNOLOGY – NTNU, Department of Psychology. Appointed Member of the Advisory Board of the Department (Ledningsgruppen). Ht Term 1999. Alternate member of the board (Instituttstyre), for the Section of Social & Community Psychology. Elected, 1998. Director, IV University extramural program for continuos education. 1971. Member of the board, Department of Sciences; appointed, as Professor of the Department. psychotraumatology. Karolinska Institute, Psychiatry Section. 1996. Research in Northern Norway. Tromsø. 1997-1998. Faculties of Social Science, of Humanities, and of Sociology and Social Work. 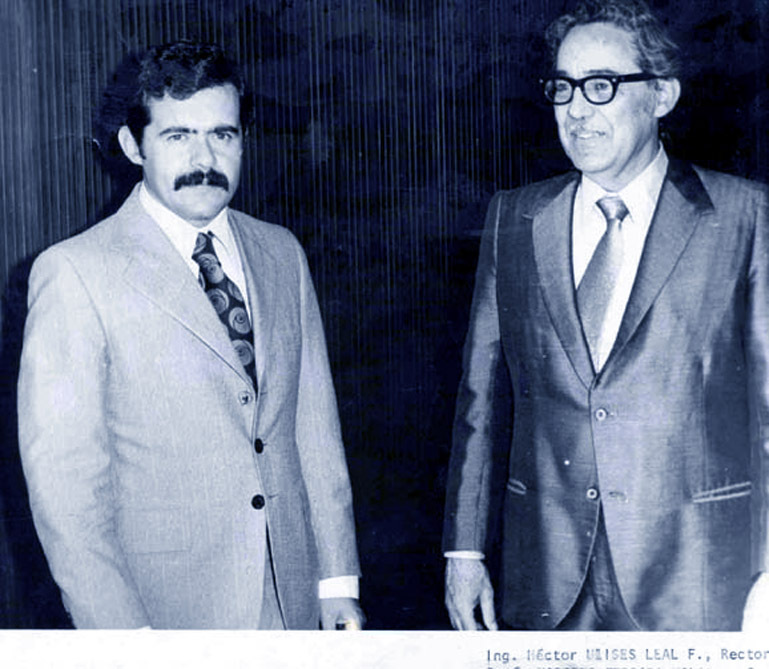 University of Nuevo León, Monterrey, Mexico, 1972. Examined courses: Didactic, Educational Statistics, Practical Pedagogic, Philosophy and History of Education. School of Education, University of Concepción. “Marcello Ferrada-Noli research is without doubt an important contribution to psychiatry. His scientific and professional accomplishments are extensive and impressive. MFN has long experience in teaching at different levels within the university system and his teaching seem to be appreciated by students”. “Marcello Ferrada-Noli has made significant scientific contributions to the understanding of the psychosocial situation on refugees and has experience as a psychotherapist”. “His accomplishments within the field of psychosocial medicine are extensive”. The list of publications above comprises (Dec 2006) 65 written works. As first author 64 out of 65 (98%). As only author, and in 47 out of 65 (72%).